We’ve all been at a party, in a bar, in a restaurant or anywhere else where the new person you just met asks about your occupation. Now, the normal thing to do here is to say something about your job title and an outline of your main role. However, if you were being totally honest, you might also have to admit you spend 10% of your day looking at pictures of kittens and obsessively scrolling through your Twitter feed. Now, presuming you like your job, you’d definitely want to maximize the amount of time you spend doing tasks actually related to your role. In a recent post, we looked at what exactly workflows are and how they can help you do this. By letting you automate many of your company’s manual tasks, workflows free up a lot of employees’ time. And that means you spend more time doing your actual job (or looking at extra-cute kittens). In today’s post we want to give you all the basics you need for designing the best workflows. So, how should you design SharePoint workflows? If your company is using SharePoint 2013 or Office 365, you have three main options for designing your workflow. Introducing workflows to both platforms is relatively similar. 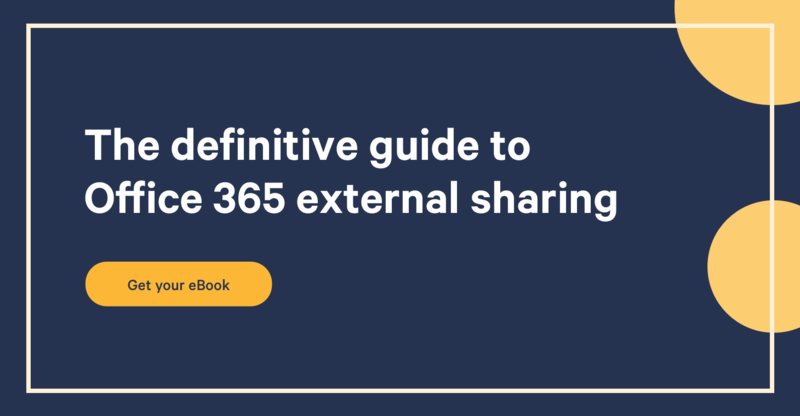 However, you have a little more customizability in server-side SharePoint – simply because Office 365 doesn’t let you introduce custom code. Use the out-of-the-box workflow tools in SharePoint and Office 365. Both platforms include updated workflow design tools for carrying out various basic tasks. Get started with this guide for simple workflows. More powerful and complex workflows can be designed with Nintex. Nintex’ solutions work well across both SharePoint On-Premises and Office 365, although it’s slightly less functional online (this should be sorted soon however). Write your own code. With out-of-the-box and simple drag n drop workflow tools already available, we think your time could be spent better than writing complex code for tasks. There might be times you need to do this, but we think it’s a bit like using the stars to navigate when you could be using a GPS. It’s time to get building. One thing you should remember when building workflows is that this is very much about automating human behavior. If you’re building a workflow, it’s because you’re replicating a series of activities your colleagues already do. However, you know that their jobs could be made much easier if the tasks were delegated digitally. Nonetheless, workflow design needs to mirror the people who actually make them. A lot of companies already have workflows in legacy SharePoint environments. These can be easily migrated to SharePoint 2013 or Office 365. Similarly, if colleagues in other departments are already using workflows, see if you can use what they’ve already designed. Of course, the workflows for a retail department might be very different from the workflows required by an HR team. On the other hand, your customer enquiry and sales funnels workflows might be pretty similar. Save time by using what you’ve already got. Workflows mirror the real world tasks of your colleagues. If you want to help them by building a workflow, that’s very nice. However, you actually need to speak to them, and understand what it is they do if you want your workflow to be useful. A good tip here is to spend a day shadowing team members and taking notes as they go through their manual workflow. For larger workflows – anything that lasts more than a couple of days – organize a meeting with end users where they can inform you about how exactly the process works. Whether you do it alone or in conjunction with end users, a paper prototype will let you sketch down ideas quickly and easily - and spot errors before you begin your main design. Whether you’re building the workflow for your own team or have been asked to do it for others, you should make your designs collaborative. As well as getting regular feedback as you build the workflow, you should also leave annotated comments down the side of your drafts so others can understand the logic of your design. If your workflow works well, you’ll be very popular with your colleagues (expect a couple of high fives at least). It should facilitate and streamline their day to day tasks and save them a lot of time waiting around – meaning they spend more time on the work they love. So, don’t be shy – spread the word to colleagues in other departments to help them work faster and more productively, while cutting out frustration. Creating SharePoint workflows for the company, both on-premises and on Office 365, will dramatically increase the overall productivity. What action have you already automated in your organization?